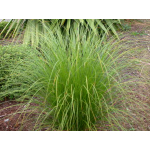 Native gossomer grass widely cultivated for use as an attractive ornamental garden plant. 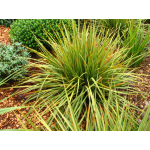 Good green arching foliage with highlights of orange, copper, and gold, especially in drier soils. Fine pink feathery flower head. Evergreen. Easy to grow in almost any soil or climate. 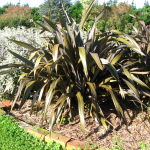 One of the most common species of Astelia growing throughout New Zealand. 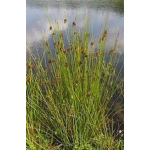 It has attractive broad green flax-like leaves, stiffly arched and the ribs are often reddish. It has scented flowers in Spring. Best in sheltered semi-shade. 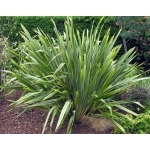 Large growing and distinctive grass that forms a large clump of tough foliage and majestic flower spikes up to 2m tall. Very tough, hardy and fast growing withstanding strong winds, costal conditions, drought and cold conditions. 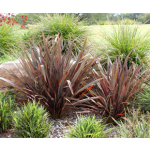 A densely tufted sedge growing up to 50 cm high, very similar to C. testaceae and differing largely in its colour, ranging from shiny green to bronze with brownish shades. 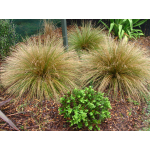 Large, striking red tussock. Flowing form is impressive in exposed windy sites. Handles wet to dry, and low fertility soils. Hardy native evergreen. The foliage is a striking distinctive lobster red. 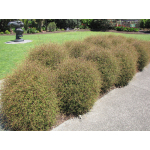 A divaricating shrub selected for its texture and structure. 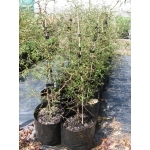 Excellent for mass planting, hedged or low maintenance, structure plantings. 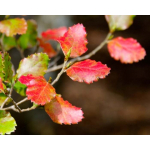 This tough and attractive shrub can tolerate cold, snow and drought. 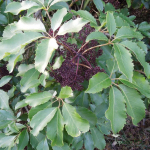 Its' fine glossy green/purple leaves turn a deep purple as the winter approaches. 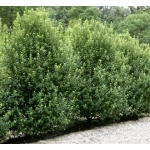 Upright shrub or small tree with attractive thin, pale-green leaves. Bark is mottled grey, pale-yellow and cream. The fruit are white or green-tinged, sometimes mottled with black. 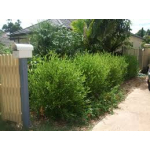 Good hedging and ornamental shrub. 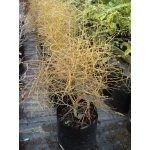 Attractive fine silver/grey foliage with bright yellow flowers in early summer. Densely interlaced branchlets. Red berries/seeds February-April. Nectar from September-November. Evergreen. Very hardy to drought and cold. 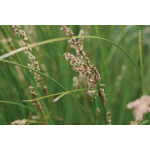 A vigorous sedge suitable for swamps, drain margins, seepages and wet pastures. 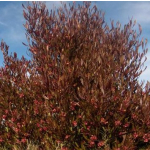 A successful colonising plant, used for wetland planting and revegetation. Suitable for conditions which may vary periodically from very wet to very dry. More dry tolerant and shorter than C. secta. 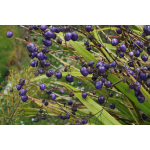 Bright iridescent blue berries in summer, this small evergreen flax like plant works well in most situations and is especially attractive planted naturally in groups. 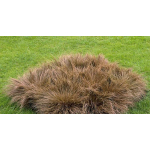 Ideal for dry areas under existing vegetation. Growing up to 50 cm tall and about 30 cm wide, this is a perefect smaller substitute for flaxes and does much better in semi shade than the unrelated mountain flax. 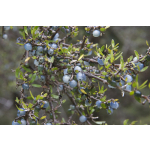 The magnificent bright blue and fleshy berries that arise during summer from tiny white flowers with yellow stamens. 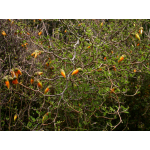 The berries are spread and eaten by native birds. 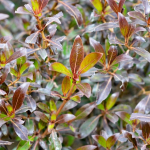 Fast-growing large, spreading shrub. 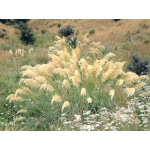 Provides good low shelter and is an excellent revegetation plant. 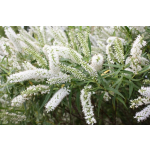 It has showy white to pale lilac drooping flowers and willow-like foliage. Prefers a moist soil. Trim after flowering in a garden setting. Small grass-like plant with stiff sword-like, yellow-tinged green leaves. 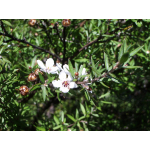 Attractive small white flowers held amongst the leaves followed by decorative orange/yellow seed pods. 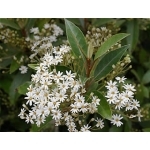 A fast growing shrub with abundant white flowers in Summer. The flowers are attractive to bees. The leaves are very small and prickly to touch where as kanuka leaves are soft to touch. 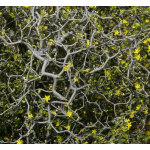 A coastal divaricating shrub with a wiry interlacing habit. Small, bright-green heart-shaped leaves. 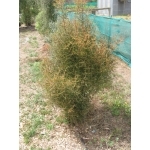 This plant is extremely hardy, tolerating dry conditions and wind. Popular landscaping plant, providing great contrast. 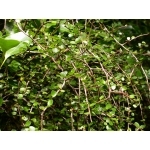 A dense ground-cover with wiry stems and small dark-green leaves. Flowers prolifically in summer with masses of small creamy flowers. Prefers full sun. Tolerant of hot, dry conditions. 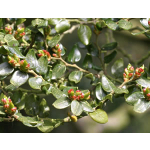 Myrsine divaricata is a small evergreen, bushy shrub, with spreading, drooping branches, which can grow to 2m high. The drooping branches give rise to woody interlacing (divaricating) branchlets bearing solitary leaves or leaves in groups. 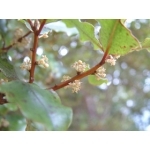 Tiny flowers, with pale yellow or red petals, occur in clusters. Evergreen. 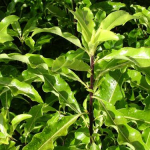 Small, open-branched tree with plume-like branches and fine leaves. 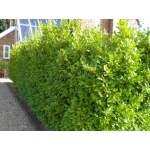 Trims well for fast hedging and shelter. Fragrant white flowers. 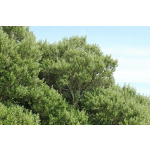 Tough, fast-growing coastal tree excellent for hedging/shelter on dry, exposed sites. 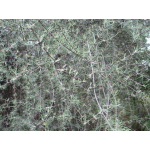 Bushy shrub with small silver green leaves with fine silver hair beneath. The stems silver/white in colour. It has an attractive silver-grey appearance and from July to August it flowers in profusion with clusters of tiny cream daisy (wheel-shaped) flowers followed by down-covered seed heads. 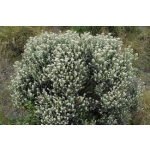 A medium shrub with a bushy habit. Branches have flaky bark. Large linear dark green and shining leaves. 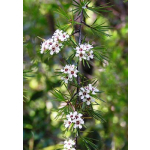 Occurs naturally in the North and South Islands, frequently grows along rocky stream banks, and gorges. Very hardy and will tolerate dry conditions. The most floriferous of the olearias. 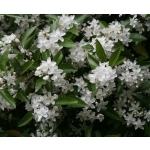 In spring this shrub is smothered in large clusters of white flowers. A superb species, one of the hardiest and the most striking. 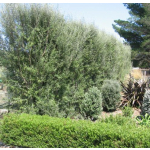 Long arching green leaves all year round, and 2 metre long flower stalks over summer - particularly attractive to native birds. Use as a 'groundbreaker' in new gardens, en masse on banks. Foliage and flowers are great for floral artwork. Flower spikes rise above the plant and bear twisted looking flowers, to which birds are attracted for the nectar. Curiously, many of the red varieties don’t flower, however the purples, greens and yellows do. 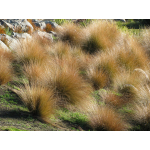 Densely tufted tussock of a graceful habit. 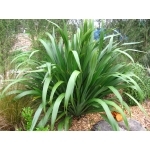 Fine shiny silvery-green erect foliage with a flowing habit. Slender flowering stem, tawny colured. Best in poor dry soils in an open situation. Great for exposed windy sites. 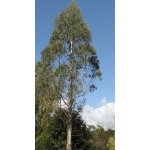 One of the oldest plant species in New Zealand and it is unique to New Zealand. 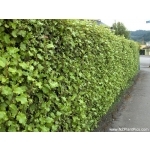 With its sword-shaped leaves it is a common feature of the New Zealand landscape. 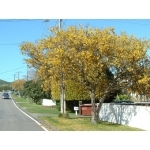 It grows up to 2 -3 metres high and its flower stalks can reach up to 4 metres. 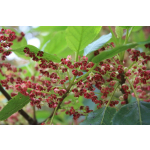 The flowers are brownish red in Summer, followed by black seed pods that stand upright from the stems. 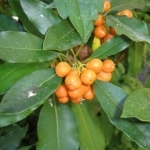 It is very hardy and fast growing with wide environmental tolerances. 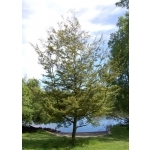 It will grow in dry and wet conditions, withstand strong and coastal winds and are frost hardy. 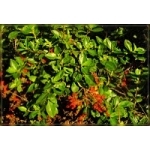 It is used for hedging or shelter and in mixed native planting. 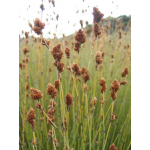 It is also a pioneer plant meaning it should be one of the species planted first in a restoration planting plan as it establishes quickly when planted and shelters other plants. Red/purple foliaged seedling form of P. tenax, so there is some attractive variation between plants. Generally smaller in stature than the green form. A strong-growing flax forming a red/purple clump. 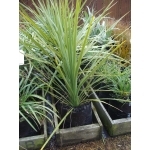 Plant next to shrubs with lighter colouring for best effect. 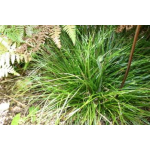 A green native sedge found throughout New Zealand in forest and scrub. The leaves are ribbed and arched and the seeds are dark brown. It is the commonest Uncinia in New Zealand growing in forest and scrub and occasionally in bogs and swamp margins. A common rush of swampy areas throughout New Zealand. 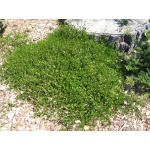 Grows in tight clumps with bright-green stems. 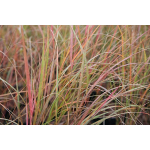 Useful for wet areas and revegetation of wetlands, but will tolerate dry conditions for short periods.